Sunday Music Muse Day - Miles Davis helps cure my ills. 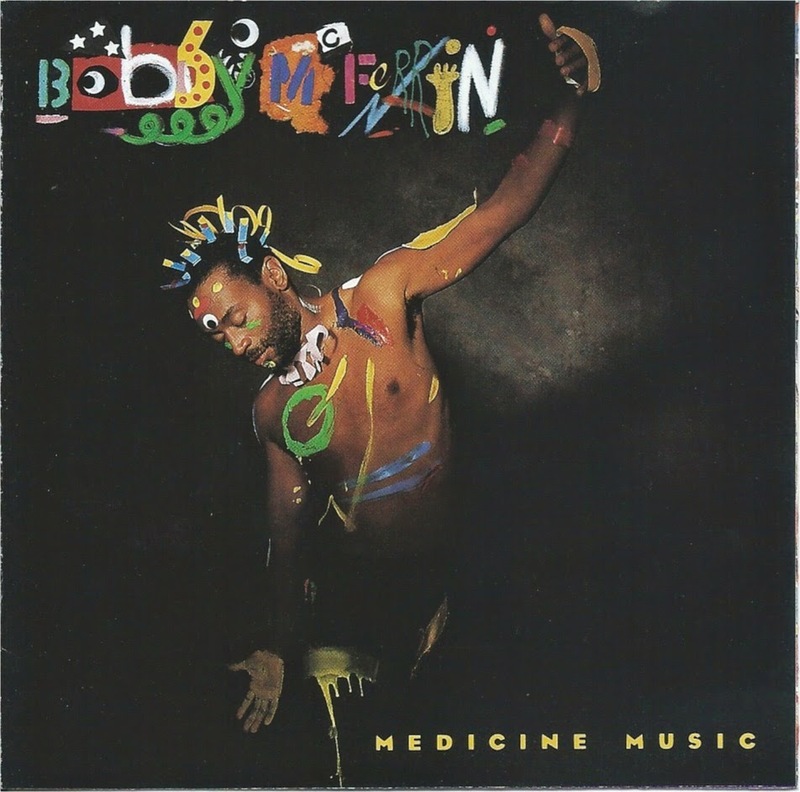 This Sunday Music Muse finds me nursing a cold. It started Friday but I still went to work. 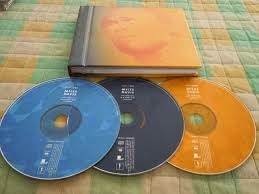 But as I was cleaning music CDs at my library Tech aide job, I came across the Mile Davis Cellar Door CD set. I haven't heard it before so I'll be taking out after repairing the disc. So, Saturday morning my cold is hitting me pretty hard. To help ease my pain I played Miles Davis In a Silent Way complete session. The made me feel better. 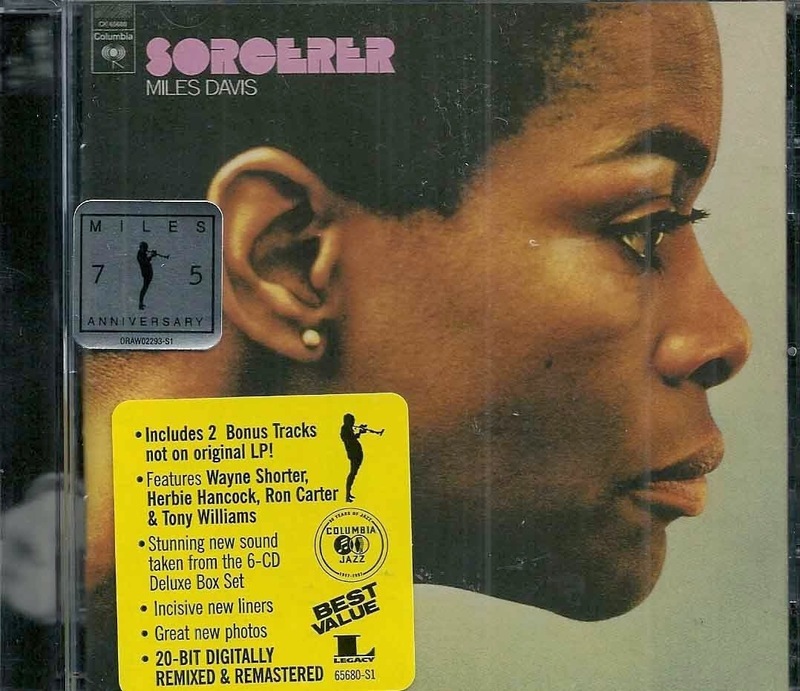 For extra health booster I popped in Miles Davis Sorcerer CD. Still not 100%, but good music helps a lot. Here's this week's Sunday Muse Day selections, purchased at my local record shop, Record Archives. 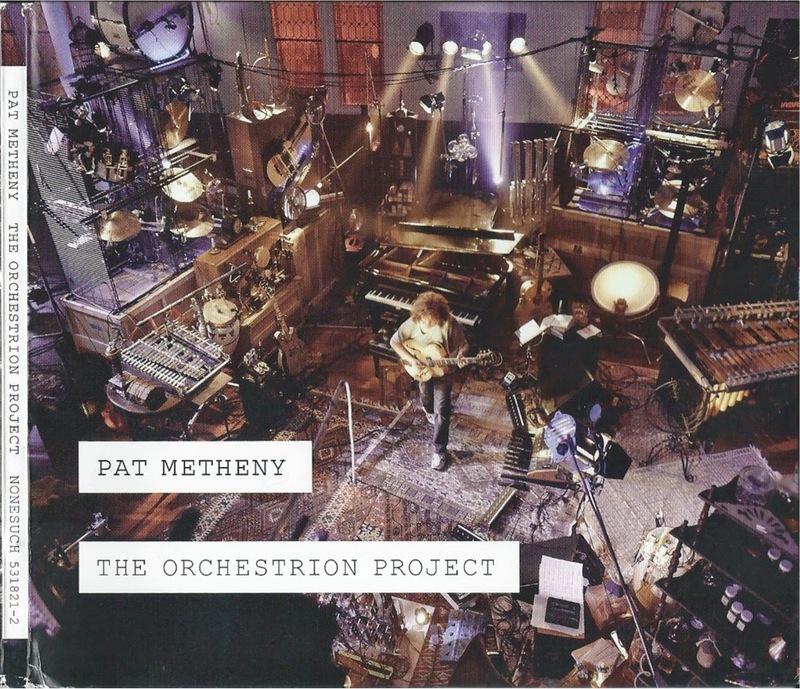 First up is Pat Metheny The Orchestrion Project. 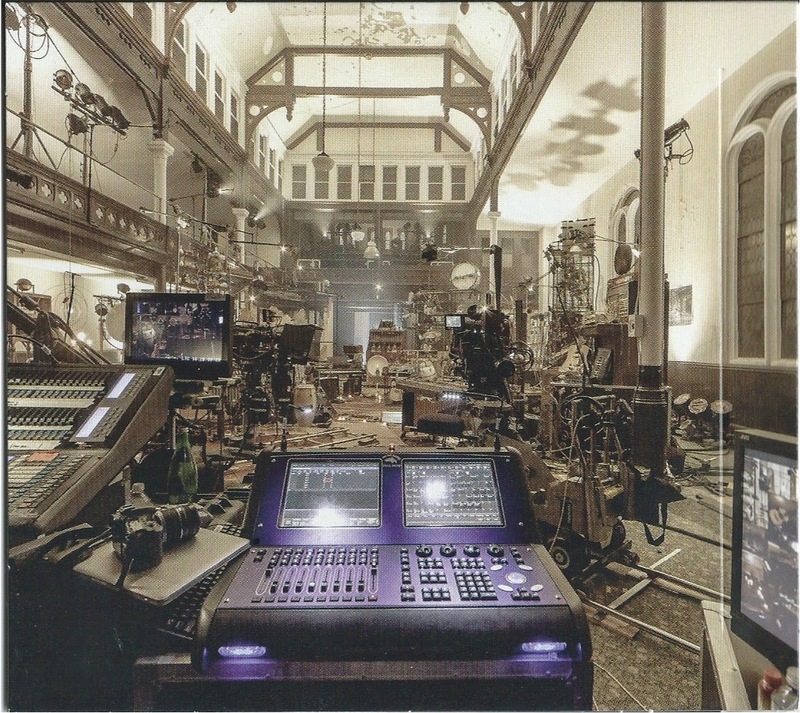 I first came across this as a DVD of the film Pat made of his performing solo with this vast array of mechanical instruments. It reminded me those Animusic videos, but much more enjoyable. 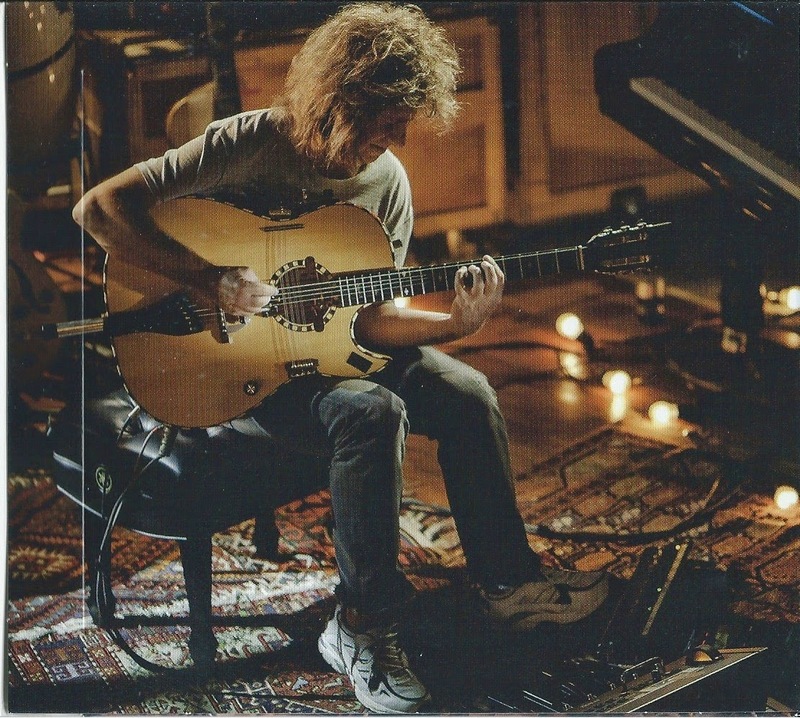 Pat Metheny's musicial journey continues to amaze me. Check out the youtube video below, you won't be disappointed. My second purchase was, in some ways to correct a buying mistake I made on my last trip to record shop. 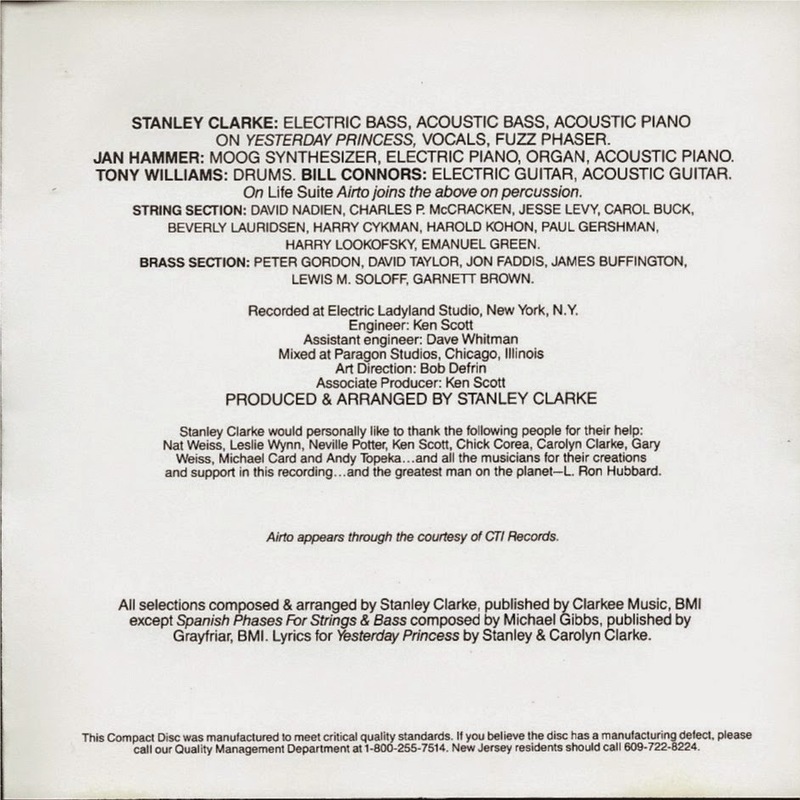 I passed on buying the Stanley Clarke CD and regretted it. Happily it was still there. 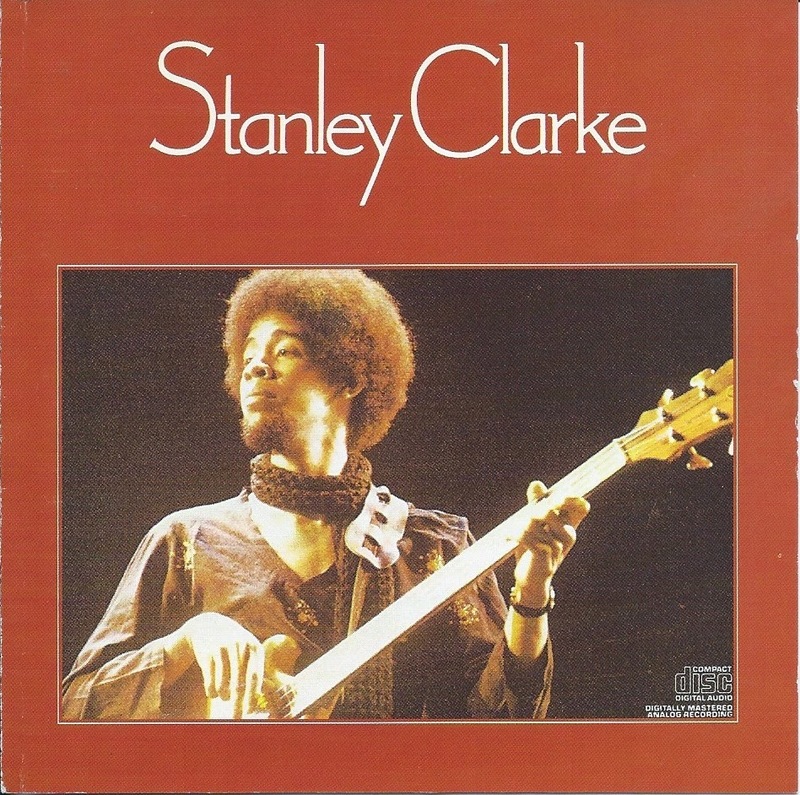 This is Stanley Clarke's first solo effort, while he was still with Return to Forever. 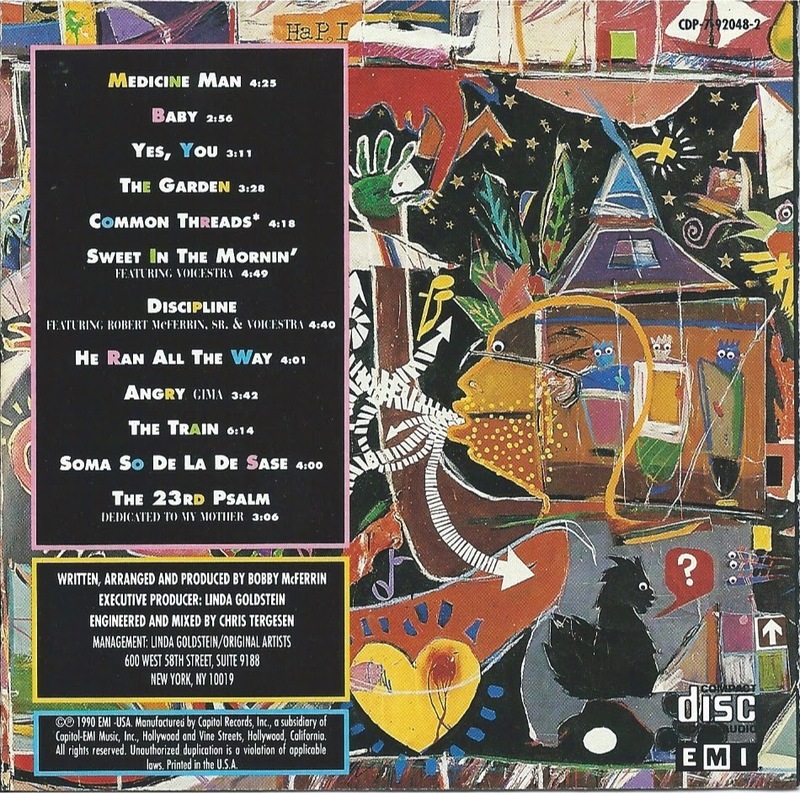 I forgot it featured Jan Hammer, on keyboards, and Tony Williams, on drums. Bill Connors, was the first Return to Forever guitarist. (I featured him in my last week's post). 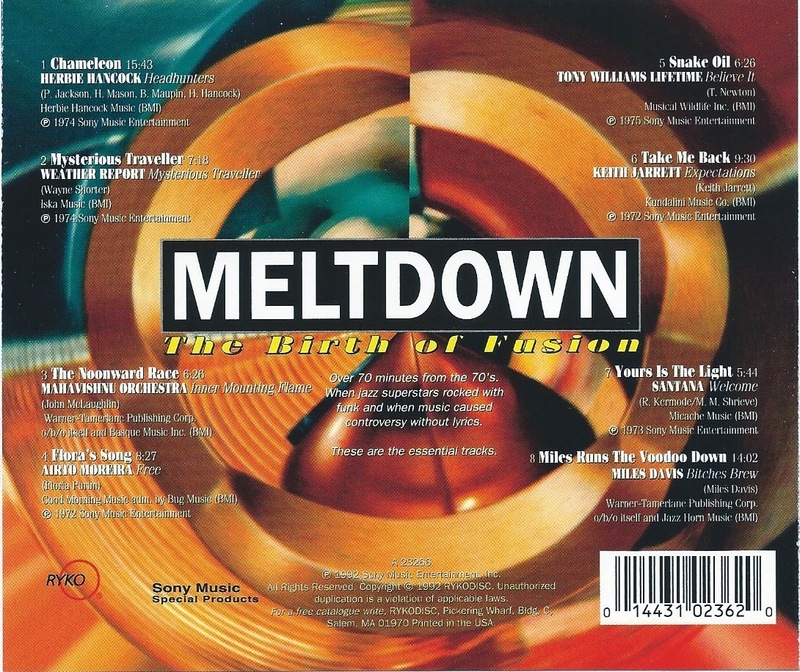 This is a favorite Fusion Album of mine, but I can't hear the tune Lopsy Lu without thinking of Jimi Hendrix' Third Stone from the Sun. 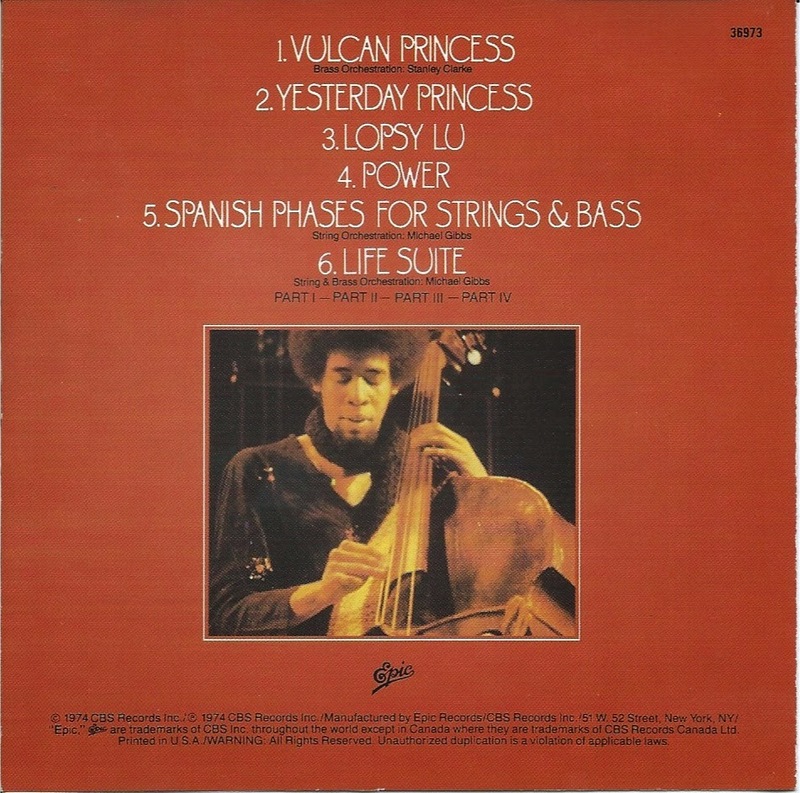 I have several of Stanley Clarke solo albums in my collection, I'll have to pull them out again for a listen. This week's Sunday Music Muse Day selections are rooted in the Jazz Fusion of the 1970s. 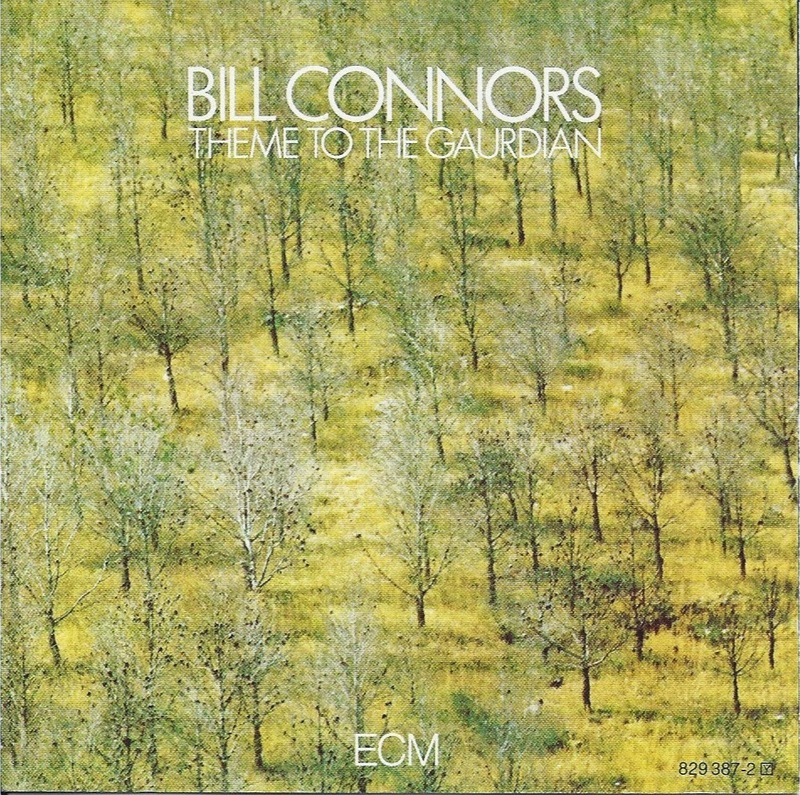 First up, guitarist Bill Conners' Theme of the Gaurdian, which I own on vinyl LP and CD. 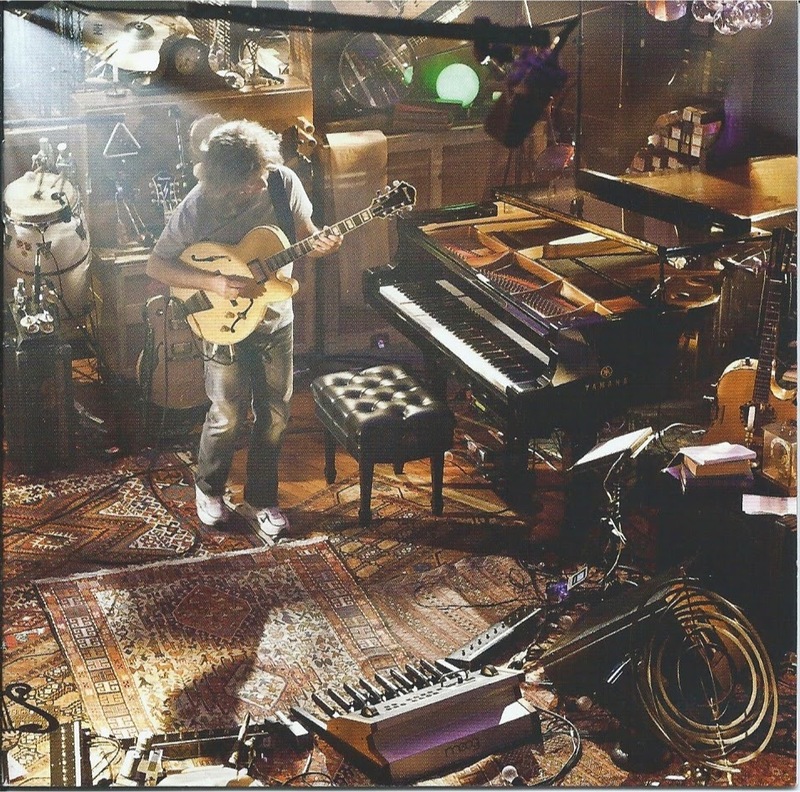 Bill was the original guitarist for Chick Corea's Return to Forever, but Bill left after the first album and tour. 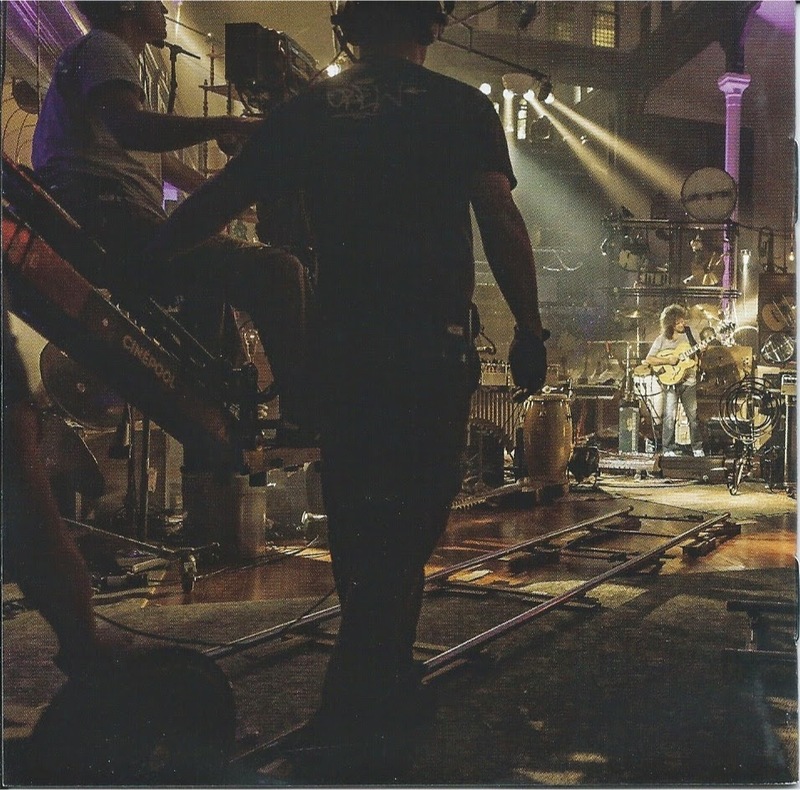 The picture of him on the back cover was probably from a RTF concert. 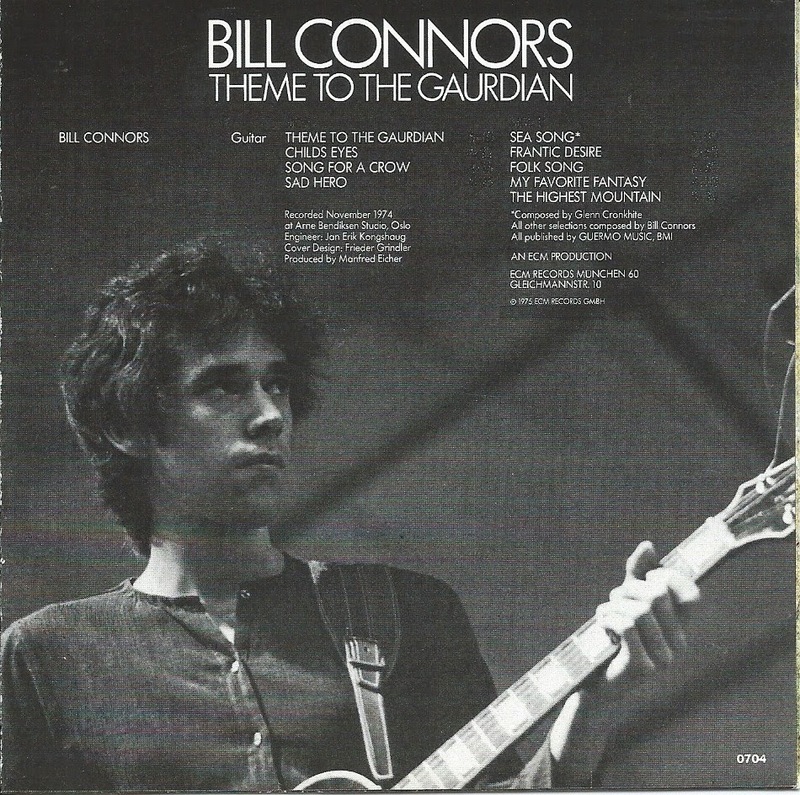 After leaving RTF, Bill Conners switched to acoustic guitar and released several solo efforts. This being the first. In the mid-80s Bill returned to the electric guitar with three CD's using a power trio, guitar, bass, drum, format. 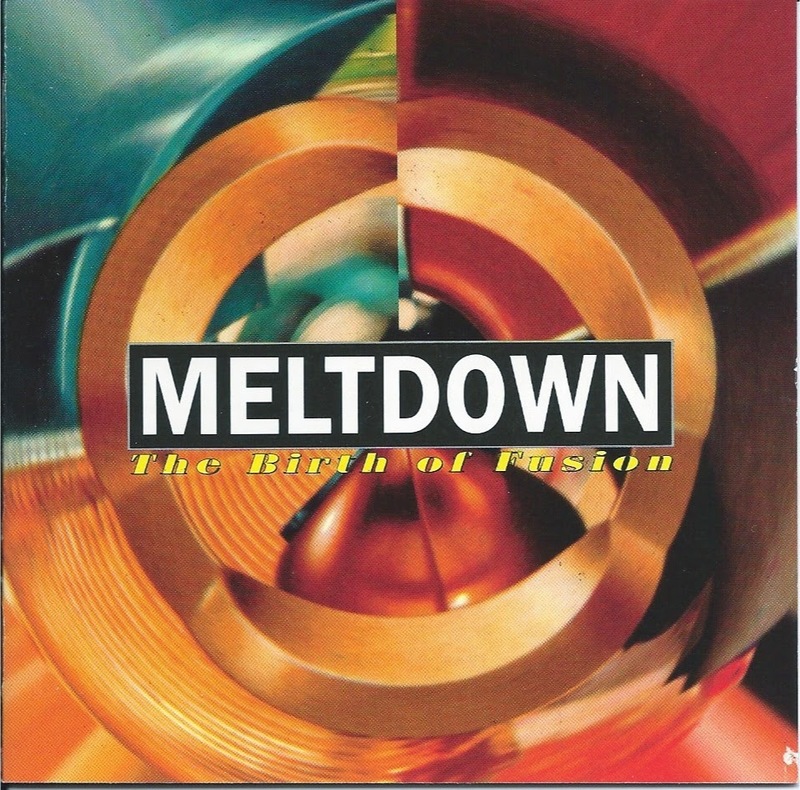 Next up, today , is Meltdown - the Birth of Fusion, a nice sampling of well known 70's Jazz Fusion classics. Truly a good way to spend the afternoon. Enjoy. This week's Music Muse Day celebrates the places we like to hear Jazz. 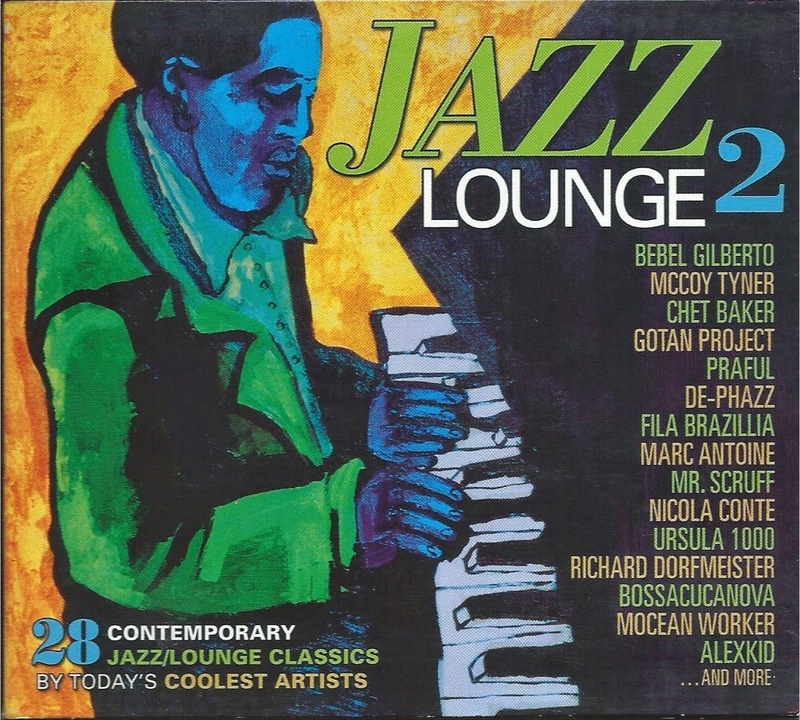 Well, at least in the title of these Jazz compilation CD at played today, Jazz-Club Guitar and Jazz Lounge 2. 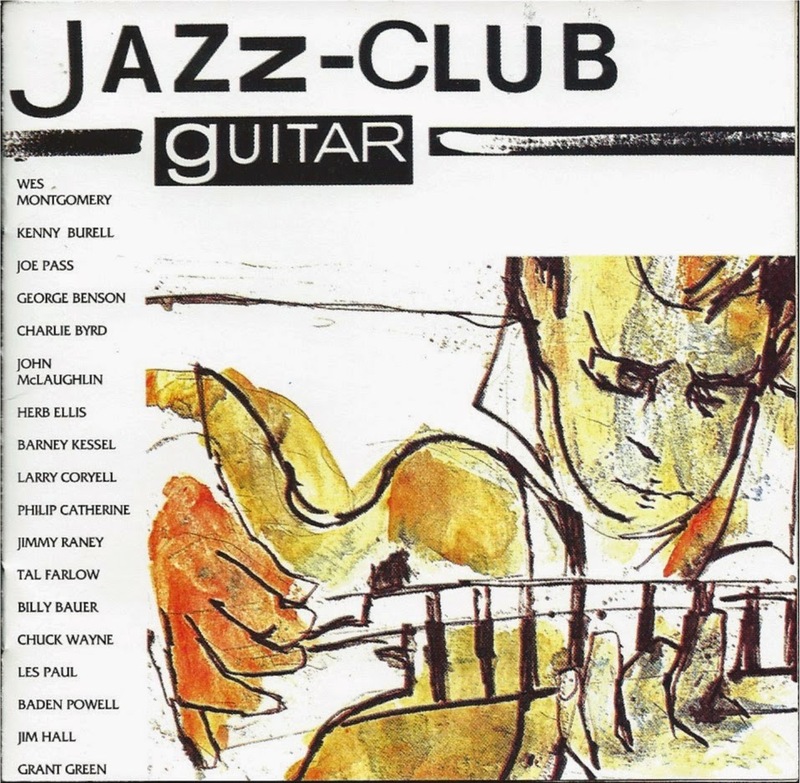 Jazz Club Guitar features a nice collection of guitar base groups from 1945 to 1979. Just check out the song list. Nothing sounds or feels better than listening to jazz in a club setting where you're up close and personal with the players. Whether it's top-flight talents or local up and coming musicians shsaring intimacy of the a jazz club to a treasured experience. 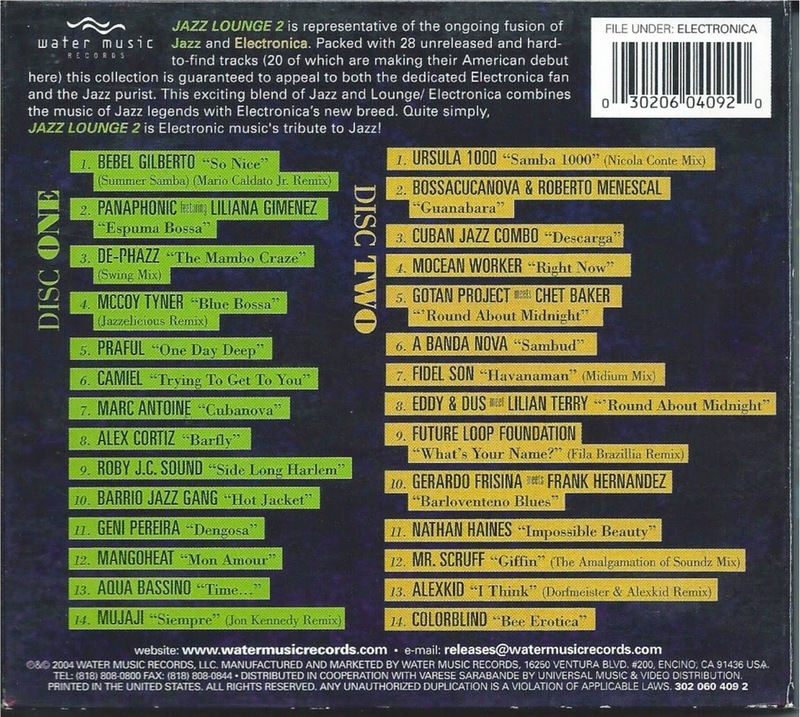 Jazz Lounge 2 is more eclectic collection "representative of ongoing fusion of Jazz and Electronics". It's a nice entry point for Alternative Music crowd. The Jazz lounge generates a different vibe. I imagine it as a place where a piano trio might have a standing nightly or weekly gig that draws a regular crowd of local friends and patrons who see the jazz lounge as a second home. Again, an experience a Jazz lover should have at sometime in their life. 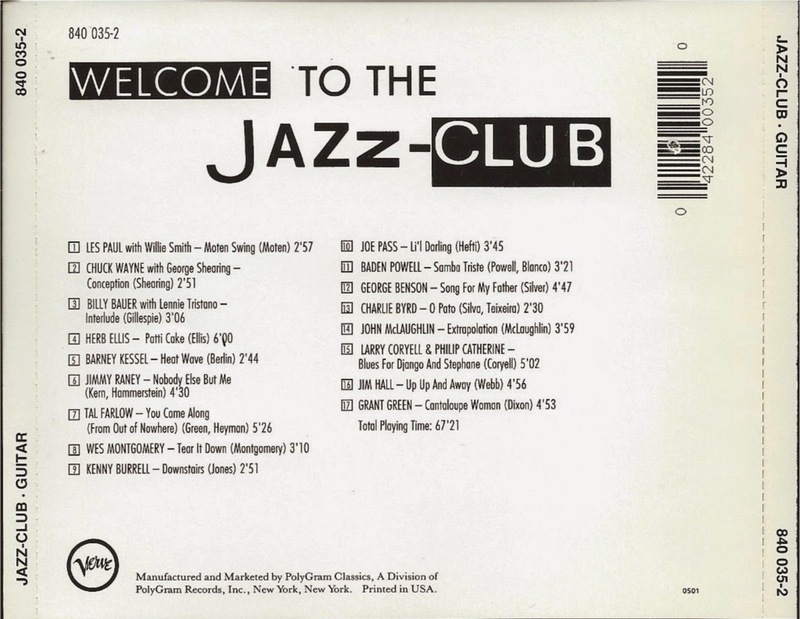 Find that local Jazz club or lounge and settle in for music and make new friends. Enjoy.